We’re excited to introduce you to our new and improved Android app! In addition to adding features, we’ve embraced the latest Android interface design conventions and rebuilt the app from the ground up. 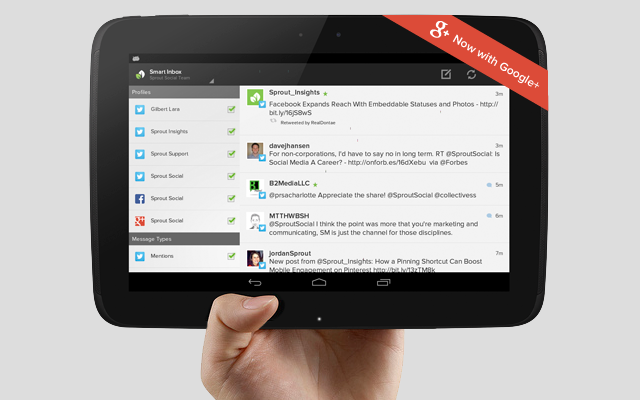 Tablet-Ready – The new app adapts seamlessly on all Android devices. Google+ Pages – Includes our latest major network integration. Publishing Tools – Access Schedule, Queue or Draft on the go! Re-imagined Interface – The UI has been completely redesigned for Android. Managing social on your mobile device is paramount for better social business. We hope you love this update as much as we do. Enjoy!